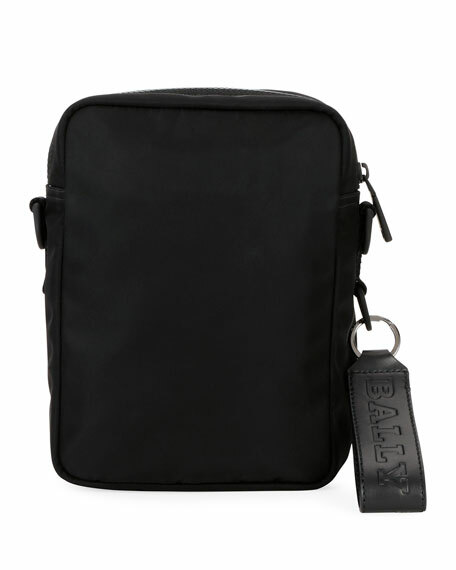 Bally crossbody bag in solid nylon. Gunmetal hardware and leather trim. 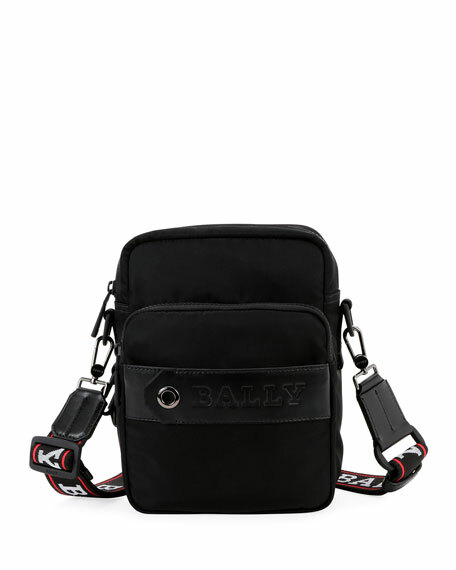 Logo-print removable, adjustable shoulder strap. 9.1"H x 6.7"W x 4.3"D.
Balenciaga canvas belt bag with allover logo print. Adjustable web strap; can be worn at waist or crossbody style. Zip-around top closure. Front zip pocket. "Explorer" is made in Italy. Flora Bella crossbody bag in woven abaca straw. Leather shoulder strap; 23" drop. Zip top closure. Inside, patch pockets. 7"H x 8"W x 4.5"D. Spot clean. Imported.